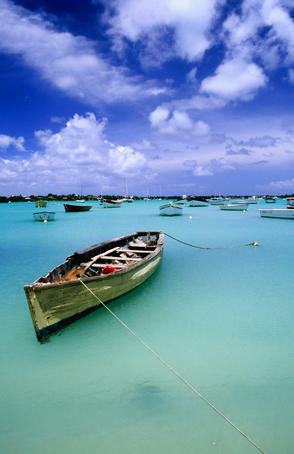 I'll never forget the first time I heard about the country Mauritius. I was standing in a hallway at my university on a Sunday afternoon (church services had just ended) when I met Thomy. He had one of the nicest demeanors and through the course of our conversation, I found myself laughing often and feeling good about life. His dark skin and French accent ultimately led me to ask where he was from. "Mauritius", he replied. "Mau-what? ", I said back. He laughed and told me it was an island country about 600 miles off the coast of Madagascar in Africa. In my mind, I thought, "that sounds amazing". Later in the day, my boyfriend (who is now my husband) came over to my apartment and I told him about my new friend Thomy from Mauritius. He immediately became very excited (unlike me, he knew exactly where Mauritius was) and expressed a desire to meet my new friend. 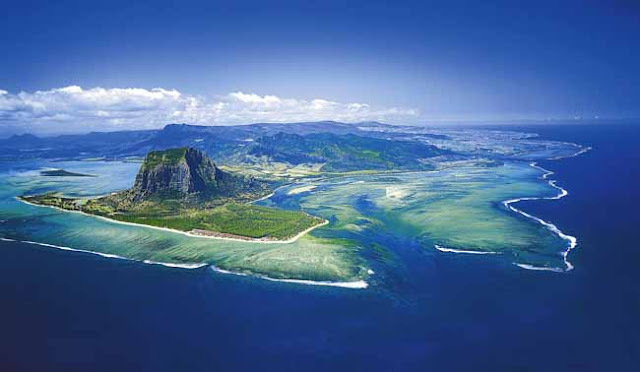 As luck would have it, my roommate had actually invited Thomy over to our apartment and about 30 minutes later, Bradford, Thomy and I were all in my room having a very exciting, animated, and open-minded conversation about the country of Mauritius. Mainly, I listened while Bradford asked all the right questions and Thomy taught us all about his home. 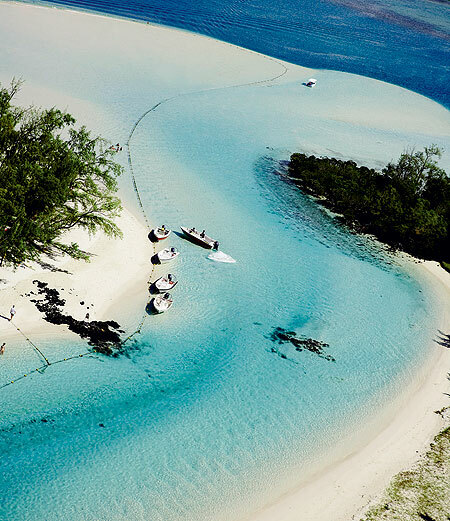 Other than the express result of being incredibly impressed with the knowledge, curiosity and open-mindedness of my handsome, smart boyfriend, I walked away from that conversation with a huge desire to travel to Mauritius. 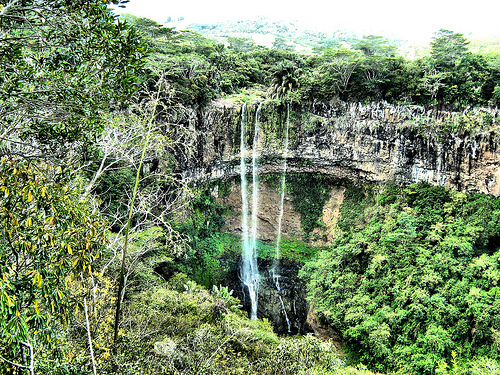 As I've researched travel there, I've learned that it is unfortunately one of the more difficult and expensive places to travel to from the US (currently the least expensive price for a round-trip economy-class ticket from LAX to Mauritius is $2353). But it sounds oh so beautiful, wonderful and magical. 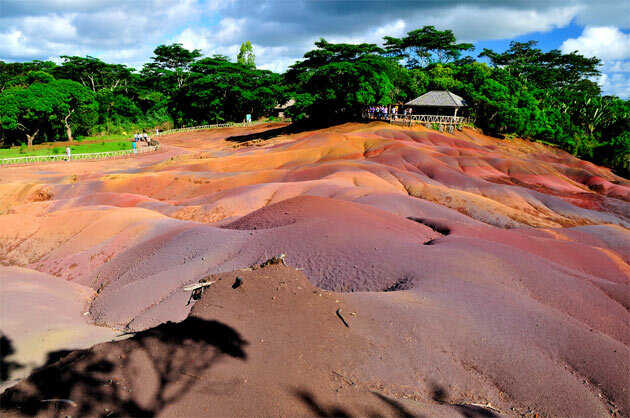 One of the most intriguing areas of Mauritius is Chamarel, which features rolling dunes of brightly colored earth: blue, brown, green, orange, purple, red and yellow. This is a bit symbolic of the ethnicities that populate the island. 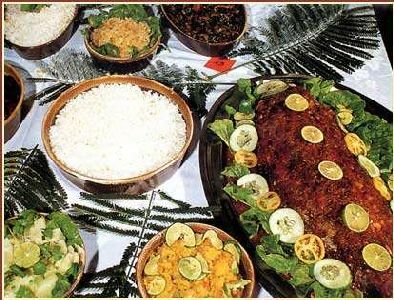 There were no indigenous people on Mauritius when the island was discovered by European explorers, but the make-up of the country now mainly includes people of Indian, African, Chinese and French descent. Oh, how I love the blending of cultures. 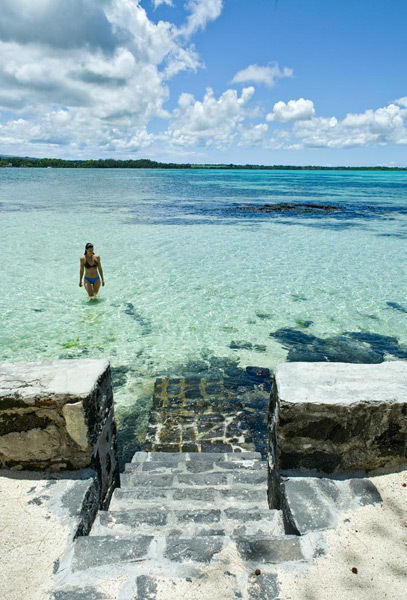 I've been fortunate to visit Mauritius three times and the island and people are so lovely. 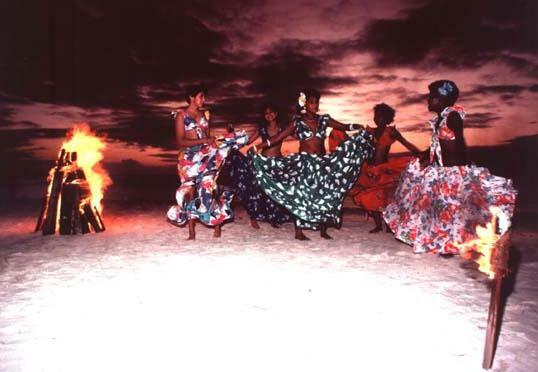 These gorgeous photos bring back such happy memories of our wonderful holidays - the seven coloured earths at Chamarel, the Sega dancing on the beach......I hope one day you manage to get there!It's a very special place. I love your blog! I'm following you now. ps you have a great blog! Wow I've never heard of it until now either! Looks so pretty. Wow! All those pictures look like heaven on Earth! So beautiful! Oh my gosh - can I please escape there, too?! It looks fabulous. I was just looking up tickets to Bali to go for a little month getaway...I am having a mad urge for some tropical beaches! oh my god take me there NOW!!!! Thomy!! I think about him from time to time and wonder where he is. Fun post, Parker!